The #1 thing you need to do is confirm 100% that you only have varicocele and no other conditions. See your doctor for a physical examination and recommendation for an ultrasound. I was diagnosed with varicocele, what now? 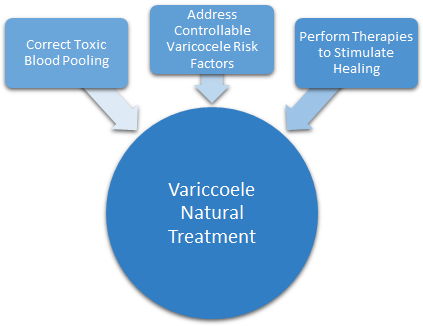 Are natural treatments effective for varicocele treatment? The answer is absolutely, yes. With my natural treatment programs you can cure pain, restore fertility, prevent varicocele progression, and reduce varicocele swelling by 30-50% (note: only a few of my clients have noted a complete cure). For sure! I'm here to help anyway that I can! If you have any questions or require any assistance, chances are everyone else has the same questions and needs the same support! Your questions and need for support will help improve the quality of the treatments not only for you, but for everyone else! Please, message me! Basically, I'm here to help all of us overcome varicocele. I'm your treatment partner. Let's fight and overcome this disease together. Thanks for your time and support.